I am The Decision Doctor. I help boards and senior executives make the right decisions when the stakes are high. In a crisis, to avoid a crisis or to create needed change. I merge a business background with deep knowledge of behavior to create a unique consulting relationship with clients. 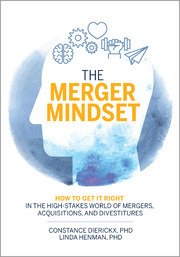 My merger and acquisition clients succeed 400% more often than the average. Boards and CEOs do more than make it through a crisis, they thrive. Constance Dierickx is a rarity among consultants–a pragmatic expert. She helps boards and senior executives with critical decisions and in crisis. Constance has consulted with over 500 executives in more than 20 countries on five continents. She works with companies from the Fortune 50 to high-tech start-ups, privately owned companies, family-owned businesses, medical institutions, government agencies, and not-for-profit organizations. Early in her career at a major Wall Street firm, she saw firsthand the impact of poor management, pay without performance, or worse, pay for destructive performance, irrational beliefs, and extreme overconfidence. The behavior of neither her colleagues nor clients made sense, but her curiosity propelled her to earn a Ph.D. in psychology while also studying decision science and behavioral economics. Constance has written for and been quoted in publications such as The Wall Street Journal, Chief Executive, and Forbes.com. The National Association of Corporate Directors (NACD) calls her an expert in mergers and acquisitions and crisis.